Starting a yoga practice once baby is here earth-side can be tricky! How can you keep up with your routine when your whole world has changed? It’s difficult but here are some tips I’ve learned along the way! I love the concept of a baby having their own yoga mat! Babies need their own personal space too, right? 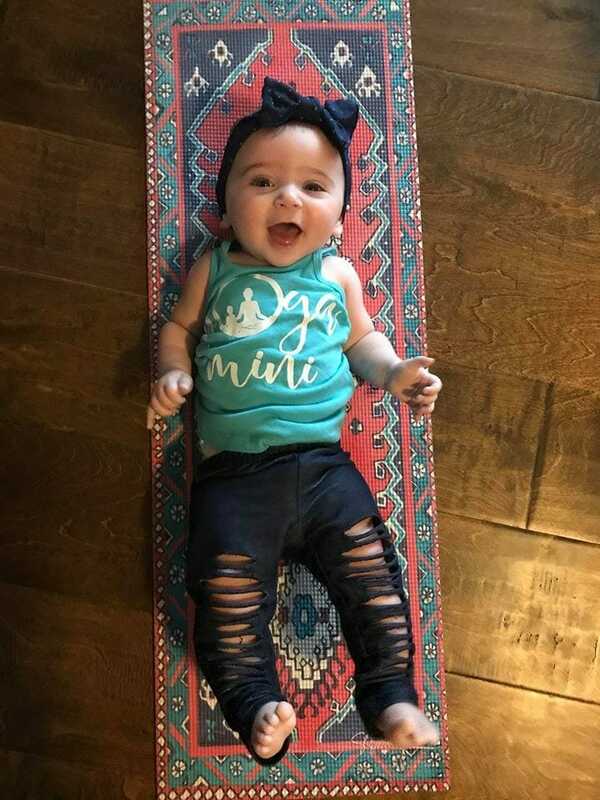 As the baby grows up, you can refer to her yoga mat as her “special place” where she can move and be who she wants to be! It’s also very adorable! I’ve found a few different baby/toddler yoga mats online. It’s also fun to have a mini version of your mat! Mirroring is great for cognitive development. When baby sees you practicing yoga, they might want to practice as they get bigger! It takes time for you to really have a routine with your baby. I would say around 4 or 5 months is a perfect time to start your yoga morning routine. I would recommend morning-time because that’s typically when babies are in the best mood. With babies, life rarely goes as planned, so I wou ld say pick a general time of day instead of a specific time. As always, be flexible because your new practice might not look the same as it did before. You created a human! Taking your baby to a Baby & Me yoga class is great for your mental health and for baby. I would highly recommend bringing your baby to a class with you. Most Mommy & Me type yoga teachers are trained in postpartum yoga and it’s a great way for your baby to watch you stay active. 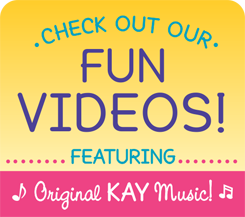 You might think your baby is too young for props, but they definitely are not! Make sure what you are using is safe and keep a watchful eye. I would recommend using the Hoberman sphere (breathing ball), Tibetan singing bowl, and Kidding Around Yoga cards. Visual and textured props are great for brain development and so much fun, too. I hope you enjoy your new yoga practice with your baby!